There has been alot of news about the Brown Marmorated Stink Bug (BMSB) plaguing homes and businesses in the mid-Atlantic states this fall. Homeowners are complaining that these flying insects are invading their homes by the dozens and folks in the fruit growing industry have seen the damage that these insects can cause on their fruit harvests. Unfortunately, these splotchy brown pests have found their way north and into the homes and businesses of New England. Stink bugs are exotic invasive bugs from Asia that probably entered the U.S. in packing crates originated in the Orient. First reported for invading homes in Allentown, PA in 2001, the BMSB was likely present there since the mid-1990s and they have been working their way around the U.S. ever since. Adults are approximately 14 to 17 millimeters long and their body is shaped like a shield. They feed on sap, seed pod, nectar, leaves and fruit, often leaving behind small necrotic spots. Though not harmful to humans, sink bugs can prove to be very irritating, as they cluster together both inside and outside your home. They have glands in their thorax between their first and second pair of legs which produce a foul-smelling liquid. When frightened or killed, the liquid is released and the scent that can be likened to the smell of stinky socks. As cooler weather approaches in the fall, the BMSB begins looking for places to overwinter. When they find an acceptable location; in an attic, basement or even in open areas of a home or business, they release an “aggregation pheromone” that attracts other stink bugs to the area. This is when they become a problem for home and business owners, as they will start to cluster in large numbers. They will not reproduce during the winter, but enter a state of hibernation called “diapause”. They do not feed or lay eggs, but are simply looking for a warm and safe environment to spend the winter. Once stink bugs have found their way inside, a small hand-held vacuum cleaner can capture the bugs you can see. It’s important to dispose of the bugs once they have been vacuumed to keep the stink bug scent from permeating your home. 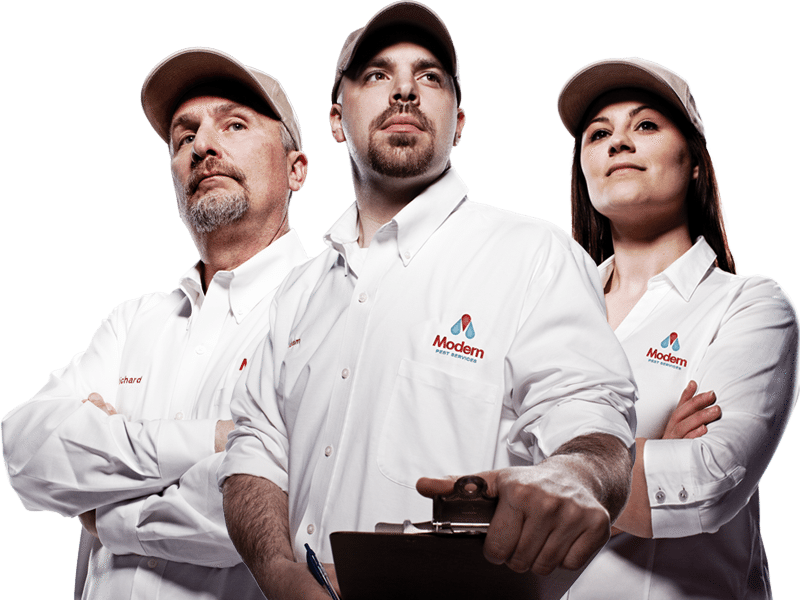 For the bugs you can’t see, the pest management professionals at Modern Pest Services have the tools and know-how to end your stink bug problem and clear your home of these pesky insects for good. Contact Modern Pest Services for fast, effective pest solutions this fall and throughout the year at 1-800-323-PEST (7378). Our locations throughout New England make us a convenient choice for homes and businesses experiencing pest infestations.